It would be fair to say that this year’s Cityscape Global, the Gulf region’s largest real estate show, approached amid a mixed forecast. On the one hand, developers had some reason for optimism. First half figures from Dubai Land Department showed a 16.8 per cent increase in the total value of real estate transactions conducted during the first half of 2017 compared to the same period last year. On the other hand there was the continued pressure on the market highlighted by real estate consultancy firms. 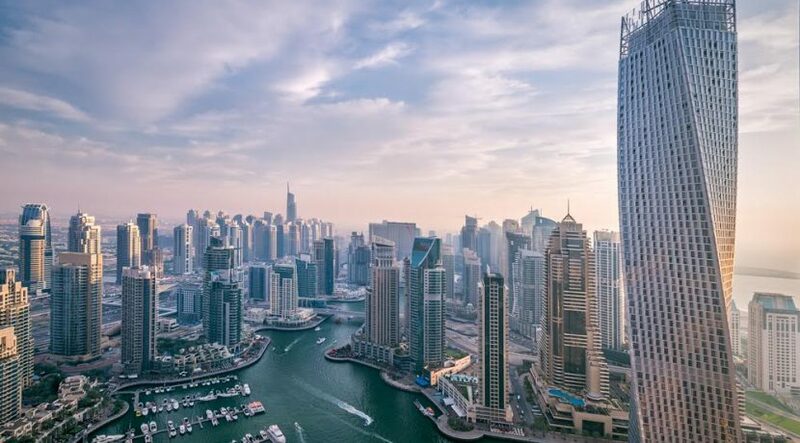 In a second quarter report released days before the conference, Cluttons said residential values in Dubai were down 1.5 per cent in the second quarter and 5.8 per cent year-on-year, marking the 12th consecutive quarter of price declines. 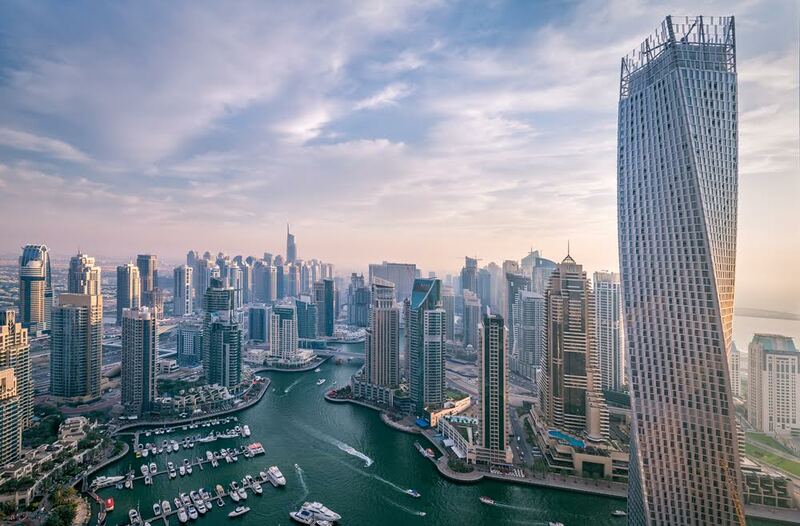 Elsewhere, an annual sentiment survey by Core Savills revealed that only 34 per cent of respondents believed the Dubai property market had shown signs of recovery compared to 50 per cent last year. Despite this apparent negative outlook there was some degree of optimism among developers, even if Dubai’s biggest name – Emaar Properties – had decided to abandon the conference entirely in favour of digital channels. Even before the event started, Nakheel announced Dhs4bn ($1.08bn) of projects ranging from the 2,500-apartment Jenan Heights community in Discovery Gardens to a new mall, the 250-unit Palm Beach Residences, 170 villas in Jumeirah Park and a 252-room hotel in Jumeirah Village Circle. And the launches only continued in the build-up to the show. The authority behind Dubai Expo 2020 unveiled plans for a district utilising the event site featuring 65,000 square metres of residential space, 10km of bike paths, 44,900 square metres of parkland and 135,000sqm of office space. This was followed by Dubai-based real estate joint venture RKM Durar Properties’ unveiling of the pearl-inspired Dhs650m ($176.9m) J One towers development, and announcements only seemed to get more extravagant as the show entered its first day. Among the largest was unveiled by Union Properties, which announced a new Dhs8bn ($2.18bn) master plan for MotorCity and a development and construction deal with China State Construction Engineering Corporation. Union Properties chairman Nasser Butti Omair bin Yousef told Gulf Business the intention was for the community to be a “fully smart city” that has everything including villas right next to the track of Dubai Autodrome. “If you go to Melbourne, Australia, the most expensive mansions are around the track. “We have to take advantage, you’ll find it not relaxing to be beside the track but other people will love it,” he said. Then there was of course the unveiling of what was claimed to be the world’s first underwater luxury vessel resort by property developer Kleindienst Group. Valued at Dhs2.5bn ($680m), The Floating Venice will be located in The World islands, 4km offshore from Dubai and close to the company’s other Heart of Europe Project where it will handover the first three islands next year. Josef Kleindienst, CEO of the Kleindienst Group, told Gulf Business that the project was in part inspired by the success of the developer’s Floating Seahorse villas and 180 of the 414 units would be underwater. He said the project had a “realistic chance” of being ready before in time for Expo 2020 but the company would need to engage boat builders to promply start work on the different sections to be put together on location. owners on the World Islands. Among the drivers of many of these new projects has been optimism in the off-plan segment, where attractive sales plans have driven interest. “There is a bit of a disconnect between how the sales market performs and how the rental market performs,” says Mat Green, head of research and consulting at CBRE Middle East. This interest was clearly on display at Cityscape where developers were allowed to make sales for UAE-based projects on the show floor for the first time in years. Consultant firm Cavendish Maxwell estimated that there were 107 off-plan units sold on the first day of Cityscape this year from 36 last year thanks in part to attractive payment plans and low starting price points. Several developers announced significant transactions during the show including Abu Dhabi’s Aldar, which generated Dhs400m ($108.8m) of sales for its Water’s Edge development and sold out the first phase at Cityscape. Azizi Developments also sold out phase one of its Dhs12bn ($3.26bn) waterfront project Azizi Riviera and said 50 per cent of phase two was also snapped up by investors. Azizi is an example of one of the newer kids on the block in the Dubai property market that are now competing for sales with the traditional players. “We have seen a lot of supply of new off-plan products and we’ve seen also good momentum of sales happening. Now, the little bit of challenge or the thing we didn’t see before is having more and more players into the market and more and more supply,” Deyaar CEO Saeed Al Qatami told Gulf Business. But the CEO insisted the major launches announced at the event, like the company’s Dhs1bn ($272.2m) South Bay tower in Business Bay, would continue so long as there was buyer interest. Other developers too appeared to agree with this conclusion. “Overall we are doing fine,” said Dubai Properties’ executive director for sales Marwan Al Kindi. With this said though, few are expecting a major upturn in conditions next year. “I think things will stay at the same level, I don’t think it will lower more and I don’t think it will get worse or reduce,” says Deyaar’s Al Qatami. CBRE’s Green also suggests sale prices are unlikely to show much sign of movement until wider economic conditions improve. But one potential change on the horizon could be a shift back towards the secondary market from a current emphasis on off-plan sales. Murray Strang, head of Cluttons Dubai, suggested that even if the headline sales and rentals numbers are contracting there are positive signs ahead, with average apartment prices expected to end the year almost flat on 2016 compared to a 10 per cent decline for villas. Of the 32 markets the company tracks in Dubai, 25 have seen no change in values in the first six months of the year. Some markets, like Jumeirah Islands and MotorCity are also only a few percentage points off of their previous highs in 2008 even if others like the Palm Jumeirah are still more than 30 per cent lower. “There are positive signs that softening is reducing and we’re talking about a move back towards the secondary market from what has been a very strong off-plan sales market over the last two to three years,” Strang said. Cluttons predicts the market will flatten out or see some growth next year but much will depend on expectations for Expo 2020 and whether it will match the hype built up in recent years. Ahead of the mega event, developers and agents will have other factors to contend with including value added tax, which comes into effect on January 1, 2018. Much of the impact is expected to be in the commercial segment, where the 5 per cent rate will be paid on all sales and leasing, and Strang believes net sales prices and rents “will need to come down” to match. Less clear is the forecast for the residential market. But others argue there could be consequences for developers making off-plan sales, as they will be able to claim a rebate on construction costs only if they are able to sell the development three years after completion. “If they fail to do so they can’t claim a rebate so you might see better payment plans coming through extended well into handover,” said Faisal Durrani, head of research at Cluttons. Another change for developers moving forwards will be an increasing emphasis on digital processes and sales. Dubai Land Department used this year’s conference to launch a multi-platform application that helps investors and developers track the progress of all real estate development projects in the emirate. course Emaar’s absence from the conference altogether “as part of the strategy to move the complete marketing strategy on digital platforms”. Although the developer does not appear to be encouraging a movement as of yet, with Dubai Properties’ Al Kindi insistent the firm remained committed to the event due to the “good sales, good numbers” it receives, others wondered what the impact would be for the market going forward. “The way I see it is over time lets face it everything will be digital, everything is moving to binary code,” said Ann Boothelo, senior product marketing manager at listings site dubizzle.com. These and other predictions will be tested as Cityscape returns next year.